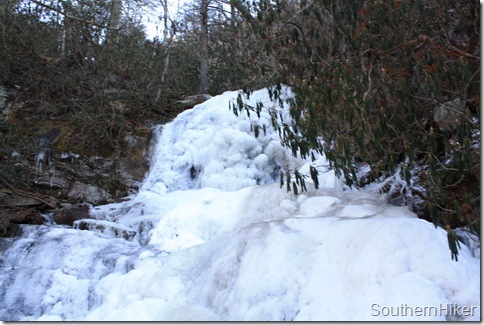 The Laurel Falls hiking trails is one of many beautiful waterfalls in the Smoky Mountains, and the area around it. 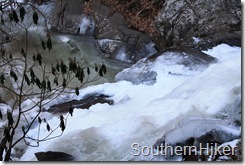 The hike to these falls follows along a paved trail, and provides for some beautiful views of the Smoky Mountains, before reaching a 75 foot waterfall. 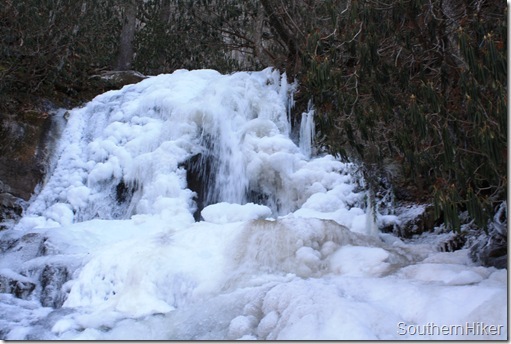 On really cold days during the winter, the falls can freeze for some very cool (no pun intended) views of a frozen waterfall. On the last day I hiked this trail, it was 9 degrees Fahrenheit. 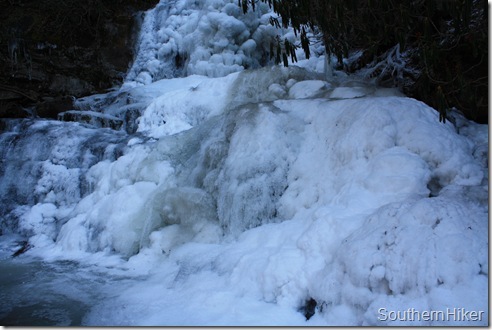 The frozen falls was magnificent. Begin this trail at a parking area along Old River Road. 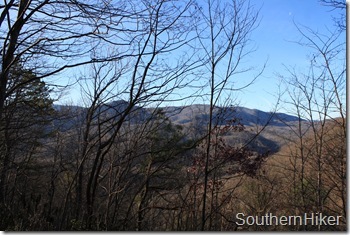 Across the street from this area are a series of other trails (the Sugarland Mountain Trails, containing Huskey Gap Trail, Rough Creek Trail, and a 12 mile approach to the Appalachian Trail). From the parking area, a sign indicates the trailhead of the path, and provides a little information about the trail. The sign indicates that trail’s length and lets hikers know he or she will be ascending around 300 feet in elevation, and that the average walking time is 40 minutes. 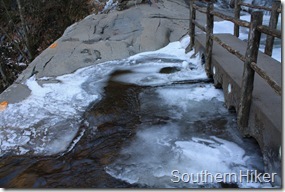 The sign also provides a nice picture of the falls prior to the addition of a footbridge crossing over Laurel Branch. Initially, the trail’s ascent climbs slowly upwards while running parallel to Old River Road. 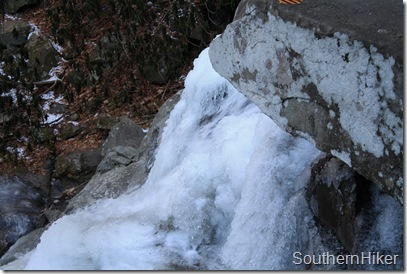 If hiking this trail in the winter, I have to recommend hiking it in the early morning. if there is any snow on the mountain, the dichotomy between the ridges that the sun has began to bathe versus those remaining in the shadows longer in the day is really interesting to see. Once the trail begins to gain elevation and turn back into the ridge, some beautiful, expansive views of the Smoky Mountains can be seen. 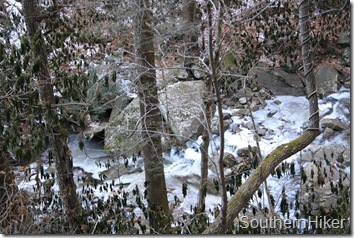 There are also some interesting boulders along the trail, the first of which is just after the above overlooks. 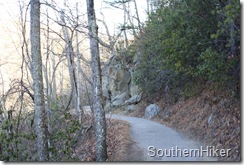 Continue deep into the mountain ridge along the paved trail, passing several rock boulders. 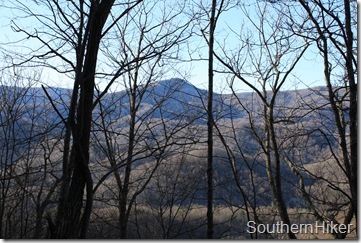 The vast overlooks of the Smokies gets noticeably farther away, and in many ways more impressive. On the trails final ascent, it opens back up to even wider, clearer views. The trail then makes a quick descent down to the waterfall. 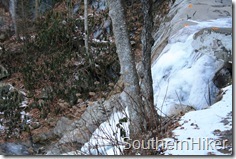 On the descent, one can see the first views of Laurel Branch. The trail may be continued for an additional 2. 9 miles on an trail that is no longer paved. This portion of the trail will intersect with Little Greenbrier Trail, and will be addressed in the future on that trail’s article. 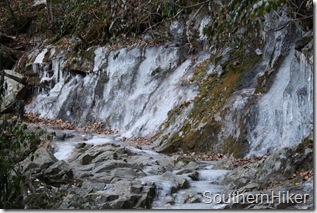 The trail was a little to icey to be continued on this particular morning. 1. Follow 441 to the Sugarland Visitor Center just outside of Gatlinburg, TN. 2. 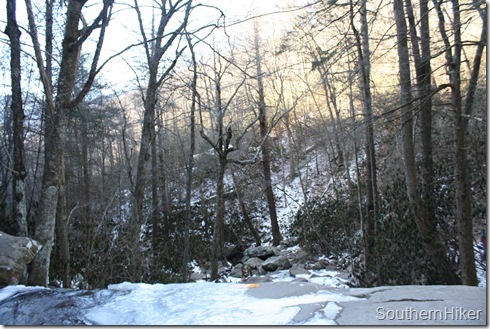 Turn right at the Visitor Center and continue down Little River Road for 3.9 miles. 3. The parking area is on right.